Looking for a deck builder in Colorado Springs? Well search no more! A quality deck is not just place to put the grill but rather an extension of your home, where your family should enjoy spending time and hanging out together. At J&J Construction we have been building decks & patio covers in El Paso County for over 20 years. We understand the importance of a quality outdoor space. 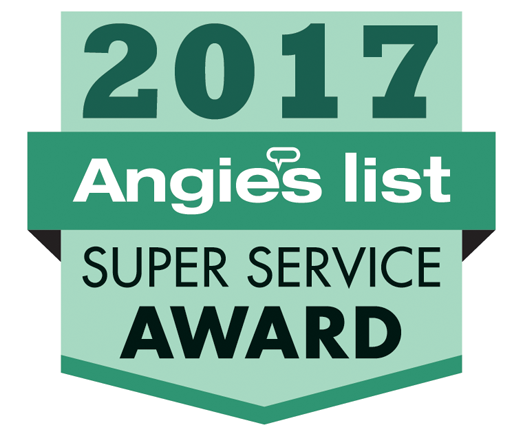 Whether it’s new construction, a remodel or a deck extension, you can rest assured that you are getting the best quality possible. We are not your average deck builder. At J&J construction, we specialize in custom and luxury deck building & design. We do all the design in-house and provide a 3D rendering of your new deck construction or deck cover. We can help you take your deck project to the next level with our team of designers and master carpenters. 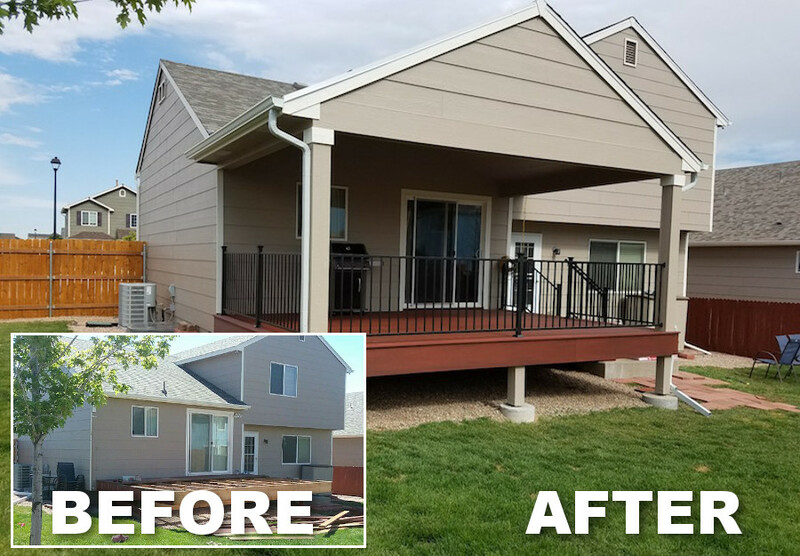 See how we transformed this Grand Mesa family’s deck! When we visit your home, we can discuss building permits, zoning requirements, material choices, & more. We can help you create a deck that will not only look beautiful, but one that you can enjoy for years to come! View more images in our photo galleries to see the wide range of deck & patio projects we’ve completed! Contact us today for your free in home consultation. 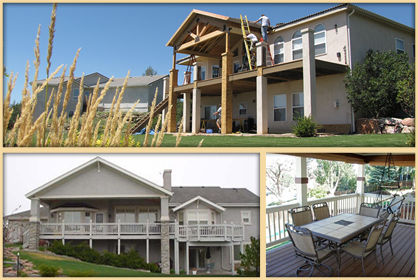 J&J Construction is recognized as a premier deck builder in Colorado Springs. Contact us for a free consultation and let us make your new deck a fun experience. View more images in our photo galleries to see the wide range of deck & patio projects we’ve completed! Notice the attention to detail that is a hallmark of J&J Construction! Should I use pressure treated lumber on my deck? Pressure treated lumber has a tremendous amount of chemicals in it. There are certain scenarios where treated lumber can’t be avoided. Local building codes may state that if it comes within 6″ of grade it has to be treated. We try and avoid treated lumber whenever possible. Regular Hem Fir is fine here in Colorado as long as you protect it with a penetrating stain, and flash the tops of the joist. What deck railings are safe for kids and pets? If the railing are built to code, and inspected by the local building dept, they meet a national standard. Do I need to do anything with the exposed ground under the deck? There is no requirement. Just make sure the grade is sloping away from the building. Should I consider painting or putting siding on my house before I build a deck? Not necessarily the paint, as the paint could be damaged by the construction process. If siding behind the deck ledger needs replaced, that should be done during the deck building process. Are composite deck railing systems structurally safe? Composite railing systems are not a good way to go. They are heavy, and tend to sag in the hot sun. Wood or metal railings are a better and a safer option. How many years should I expect my deck to last? An average deck in Colorado Springs built correctly will last 20+ years. How can I find out the setbacks for the property? You need to check with your local zoning dept. Do I need permit for my new deck? Anytime you add or replace structural members, hand railing, or stairs you need a permit. You do not need a permit to replace flooring. How much should I expect to pay for a new deck? Depending on size and material used, a good starting point for our custom decks will be around $10,000. How long does a deck take to build? This depends on complexity & size, but a basic 20′ x 12′ deck can be fully constructed with in around 7 business days. What is a hidden deck fastener? Special clips that go between composite deck boards, they also aid in correct spacing.